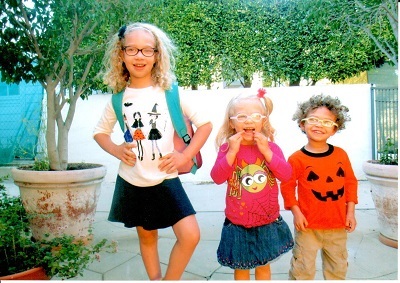 Last weekend, Wylene and I traveled to Los Angeles to spend time with our three grandchildren, Annie (7), and twins Izzy and Sammy (4). We took them to their favorite museum, the Skirball Cultural Center, near their home in Westwood. 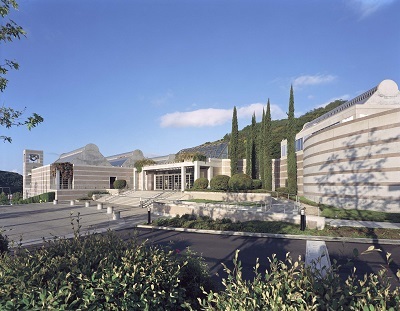 The Skirball Center is an educational institution devoted to sustaining Jewish heritage and American democratic ideals. The Center, named after philanthropist-couple Jack H. Skirball and Audrey Skirball-Kenis, features a museum with regularly changing exhibitions, performances, comedy, and literary and cultural programs. The campus includes a museum, a performing arts center, conference halls, classrooms, libraries, courtyards, gardens, and a café. While there is an emphasis on Jewish culture, there are also many exhibits that are secular, of interest regardless of one's religious affiliation. This is certainly true of the Noah's Ark exhibit, my grandchildren's favorite, inspired by the Biblical tale of Noah and the flood. This 8,000 square foot indoor playground includes over 400 life-size animal constructions, many of which are interactive. It is one of the most extraordinary children's exhibitions I have ever seen, and it includes many hands-on activities. It also features more than 100 arks created by artists from around the world. It is easy to identify the background of many of the artists by the architecture and the way the animals are crafted. It gives one a sense of the universality of this exhibit and the story of the great flood. Upon entering the Center, we were greeted by a very enthusiastic docent, who gave us a brief version of the story of Noah and the great flood. She emphasized that there are over 400 versions of this story from around the world. Almost all cultures have some sort of story about water covering the earth and representatives of all species being saved to create a better and new world. As we begin the Fall semester at RCC, I think about the imagery of Noah's Ark and creatures from all corners of the earth coming together to create a better world. 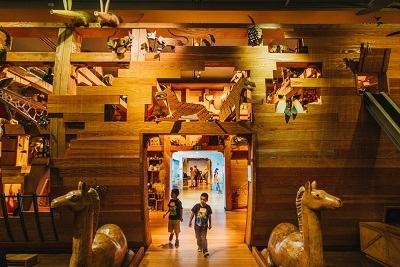 The Skirball Center presented the Ark as a symbol of human resilience. At Rockland Community College, students who enter our doors in Fall 2016 will come from a wide range of backgrounds, interests, experiences, and abilities. They are all very different, and yet they are all here to improve their status and to achieve new goals and a better quality of life. During the last few weeks, after meeting in my office with a number of students with special issues and concerns, I realized the important role that RCC can play in their lives. I am very pleased that RCC has a wonderful new resource that will be very helpful to many of these students. This new resource, which is called The Connection Center, provides support to these students beyond traditional college services as they pursue their education. With heartfelt appreciation for the thoughtfulness you’ve shown. 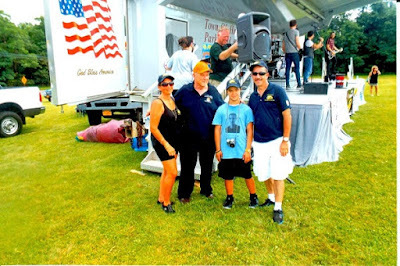 Thank you for everything you have done to memorialize our son’s legacy, including putting on this year’s 2016 Car Show.